In 2005, the National Commission on Macroeconomics and Health reported that 10-20 million (1-2% of population) suffered from severe mental disorders such as schizophrenia and bipolar disorder and nearly 50 million (5% of population) from common mental disorders such as depression and anxiety, yielding an overall estimate of 6.5 per cent of the population. The data regarding casualties related to mental illness is not maintained centrally. Provide mental health services including prevention, promotion and long term continuing care at different levels of district healthcare delivery system. Augment institutional capacity in terms of infrastructure, equipment and human resource for mental healthcare. III. 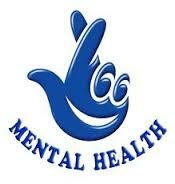 Promote community awareness and participation in the delivery of mental health services. Broad-base mental health into other related programs. To address the acute shortage of qualified mental health professionals in the country, the Government, under the National Mental Health Programme (NMHP), is implementing manpower development schemes for establishment of Centres of Excellence and strengthening/ establishing Post Graduate (PG) Departments in mental health specialties. Till date, support has been provided for establishment of 11 Centres of Excellence and strengthening/ establishing 27 PG Departments (in 11 Institutes) in mental health specialties in the country. The Government has approved a proposal for establishment of additional 10 Centres of Excellence and support to strengthen/establish 93 PG Departments during the 12th Five Year Plan Period. District level activities under the National Mental Health Programme along with the National Programme for Control of Blindness, National Tobacco Control Programme and National Programme for Prevention and Control of Cancer, Diabetes, Cardiovascular Disease and Stroke are a part of the NCD Flexible Pool under the National Health Mission for which total allocation at BE stage for 2015-16 is Rs. 554.50 crores. Separately, budget provision of Rs. 35 crore has been made for implementation of tertiary level activities under the National Mental Health Programme. During the previous plan periods, funds have also been provided for up-gradation of 88 Psychiatric Wings of Govt. Medical Colleges/ General Hospitals and modernization of 29 State run mental hospitals in the country. The National Trust, under the Ministry of Social Justice and Empowerment, runs several schemes like Samarth (Residential centre), Niramaya (Health Insurance Scheme), Aspiration (Day Care Center), Gyan Prabha (Scholarship Scheme), Uddyam Prabha (Interest Subsidy Scheme), Sahyogi (Caregivers Training Scheme), GHARAUNDA etc. all over the country for the welfare of four disabilities i.e. Autism, Cerebral Palsy, Mental Retardation and Multiple Disabilities. The funds under the above schemes are provided by the Ministry of Social Justice and Empowerment. No proposal for a centrally sponsored insurance scheme to cover mental illness is under consideration in this Ministry presently.